If you’re looking for a way to get more involved in your community, serve with fellow Bruins and get a free lunch and T-shirt in the process, Bruins Give Back is for you. 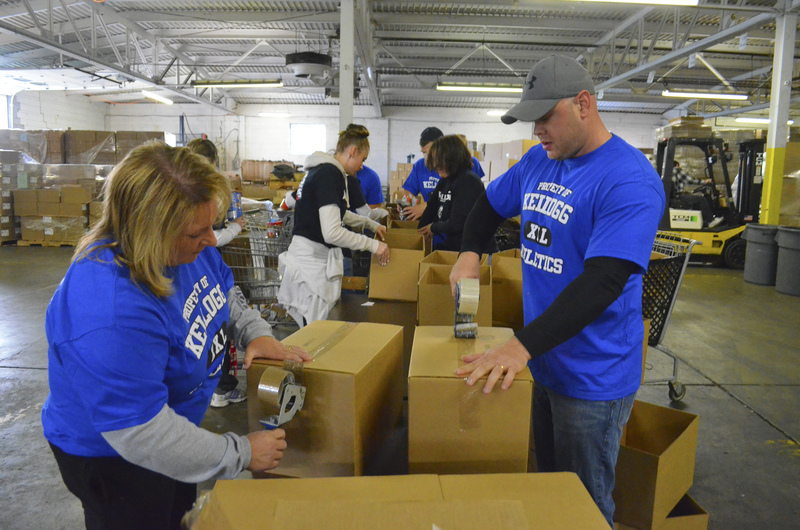 Bruins Give Back is a volunteer event that occurs three times each semester and is open to all Kellogg Community College students, faculty and employees to participate. A service learning event hosted with the college’s Student Life office and community organization HandsOn Battle Creek, the second Bruins Give Back events are scheduled for 9 a.m. to noon on Friday, Nov. 9. The Haven of Rest Ministries, 11 Green St.: Volunteers will help clean up after a meal, help set up for a meal and help serve a meal. Urbandale Elementary, 123 N. Bedford Road: Volunteers will help fourth graders make fleece blankets to give to a community partner. Homeless Health Fair, 11 Green St.: Volunteers will help organize the 2012 Homeless Health Fair by packing bags of food for the homeless to take with them as they leave the fair. Participants will meet at Haven of Rest. Community Action, 350 N. 22nd St.: Volunteers will help pack boxes for the food distribution efforts of The Emergency Food Assistance Program (TEFAP). To sign up to participate in a Bruins Give Back event, visit www.kellogg.edu/socialscience/servicelearning/registerServLearn.html. Participants will receive an email after they sign up asking which location they would like to serve at. On the day of the event, participants will meet at their chosen locations. For more information about this or future Bruins Give Back events, contact Kellogg Community College Service Learning Manager Kate DeGraaf at degraafk@kellogg.edu or at 269-965-3931 ext. 2211. Pictured above, Bruins Give Back participants pack boxes for The Emergency Food Assistance Program (TEFAP) at Community Action during the first Bruins Give Back events of the semester in October.